Jennifer Lopez may be making headlines of late thanks to her recent engagement, upcoming tour, and new movie, but she’s quietly made a notable move in her music career. One which reunites her with L.A. Reid. That Grape Juice has learned that Lopez’s freshly announced single ‘Medicine’ featuring French Montana will be unleashed on April 5th as her first release on Reid’s new imprint HITCO. The deal sees Lopez bid adieu to Epic Records – which has been her label home since 2016. Interestingly, it was Reid who signed her there during the latter days of his tenure as chairman. 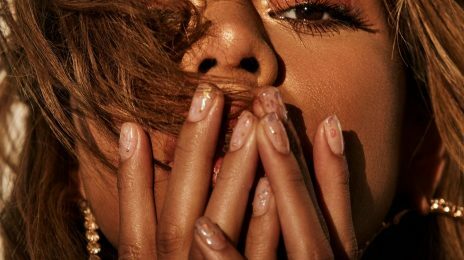 Will Reid, whose new roster includes Fifth Harmony alum Dinah Jane and rising star The Bonfyre, deliver the midas touch for Lopez? Her status as an eternally relevant media maven is undeniable, however musically there’s work to do. Lopez hasn’t released an album since 2014’s ‘AKA,’ which arrived in a one-and-done capacity on Capitol Records. And while her subsequent run at Epic yielded many a single – including global smash ‘Ain’t Ya Mama’ and a recent slew of Spanish offerings, the partnership didn’t produce an actual body of work. Today’s music market is vastly different to yesteryear, but we don’t doubt Jenny’s ability to birth a bop nor L.A’s propensity to cultivate a colossal campaign. As such, it’ll be interesting to see what this new chapter brings. REGARDLESS OF HER LABEL, she will never ever make the mark in the music landscape that framed her career circa 1999-2005. she will never release another smash radio single & no one cares about these fly by night singles she recycles. her music offerings over the past 14 years have been subpar & she needs to simply focus on romantic comedy films. that’s where she soars. she isn’t great at standing alone as a strong, independent woman. she isn’t able to remain single for even 5 minutes — which says a LOT about her character & overall womanhood. it’s pathetic. Sorry but I strongly disagree Brent. I think her 2011 era was very strong and her single ‘On The Floor’ was a hit and it peaked at Number 3 on the Billboard 100. 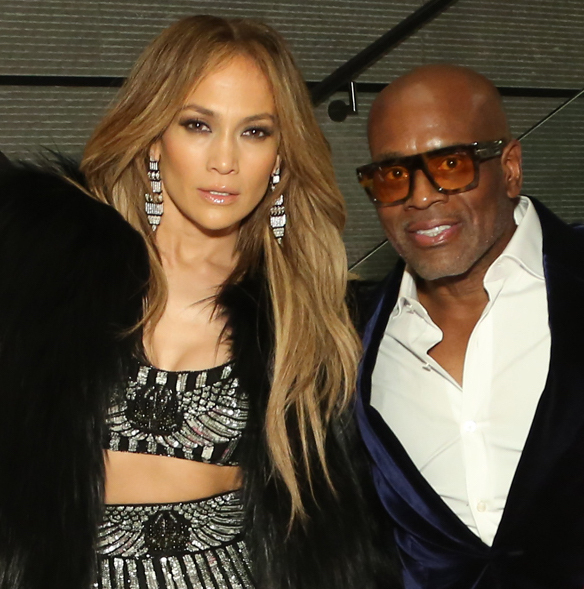 Jennifer Lopez is the kind of artist that needs someone like LA Reid producing her music. She had that in 2011 and lost it when he left the label. Now she is reunited with him. LA Reid was able to make her do more urban sounding tracks mixed with the pop tracks she favors. All the singles ever since have been all over the place because she does not have direction and lacks the talent to get away without direction. Although she does alot and ppl may say she isnt talented this woman rules literally she did it all by herself. She came up with kno group behind her, kno family it was just her. She deserves mad respect. She doesn’t want to have top hit songs she just likes to make movies. Tv shows and albums keep it up jlo. I disagree. She does want to have hit songs and she will get a hit now that she is back with LA Reid. Haterz gon Hate – But all these years JLo stays BOOKED and SIGNED. People love to poke their nose in her private life and say she can’t sing but she has a rare business acumen that most girls do not possess. Very good point. It really does show something that label after label (MAJORS) still sign Jennifer even if her singles may not do the best. They realize her commodity I guess. Also very true other artists ‘say’ they are locked into bad deals they can’t get out of or record music and release but somehow J.Lo stays releasing as she pleases. Smart woman indeed. Good lawyers, smart deals! LA Reid has a great touch his resume speaks for itself. But truthfully speaking Jlo’s music dominance is over, she has had great success and moments but a couple trendy songs over the past seven years will not make people buy an album no matter who she is signed to. Her greatest years musically was during Murder Inc’s reign. Hooking up with French Montana will not save the day here mark my words. ONLY real sensible comment here. Jennifer Lopez’s best work is from 1999 to 2005. I don’t own anything she has released post 2005, and I don’t expect that her new music will change that. She can’t seem to recapture the magic she once had. I want her to win, but she has consistently let me down for well over a decade. 2011 was a GREAT ERA FOR J. Ho. Yall just sleeping on her music from then. She was under LA Reid’s label at the time. I am going to post the videos to remind yall. Hitco is an independent label which LA now heads it was the name of a publishing company he co owned. After the sexual harassment allegations that surrounded him just around the time when he stepped down from Epic I don’t think it would be smart for a major to back LA at this time. 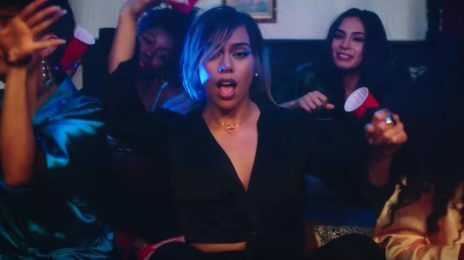 Dinah Jane is the latest Fifth Harmony graduate to gift fans new music and she’s been oh so generous.